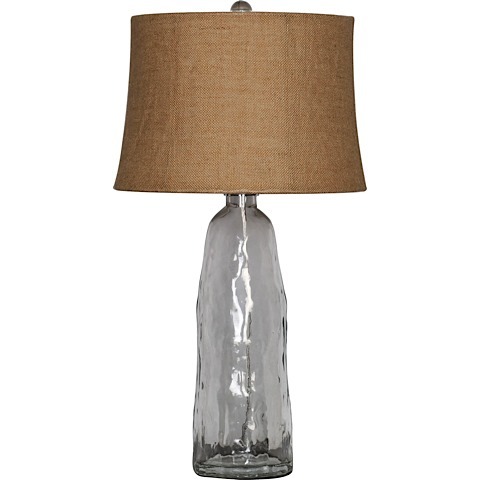 Create a noteworthy natural look for your space with this exquisite lamp. 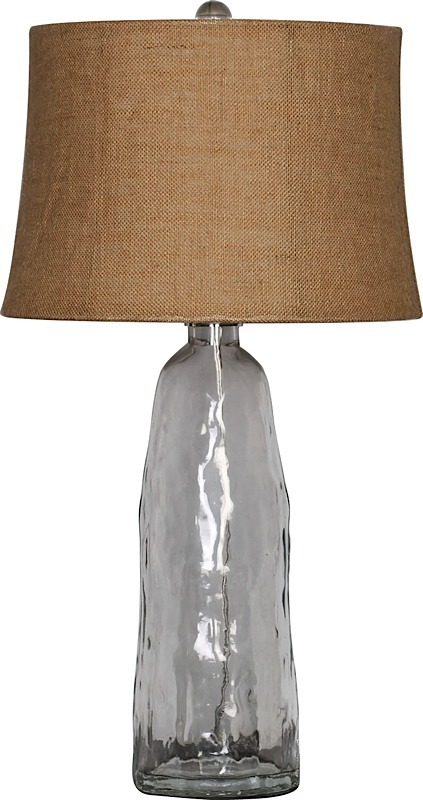 Featuring a clear recycled glass base with a natural burlap shade, this piece will effortlessly envelop your space in timeless charm. Vilade has a 3 way metal turn knob switch type. Requires a 150 watt light bulb which is not included. 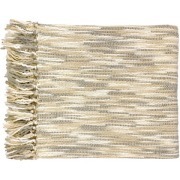 Perfect for any room in the house! 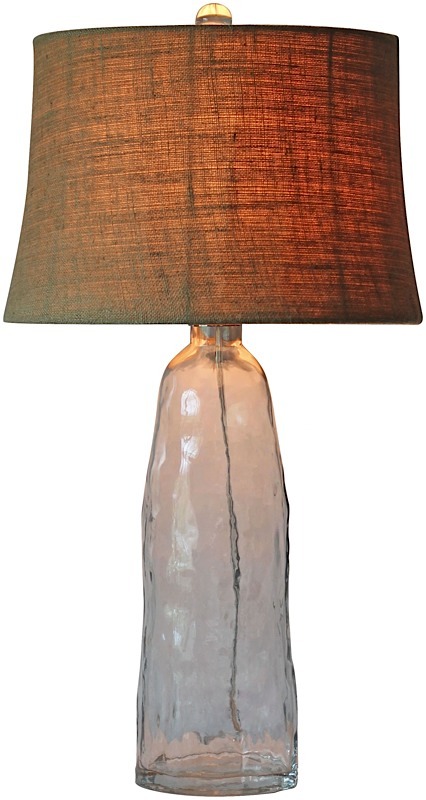 The shade has a diameter of 16" and is 11" tall.